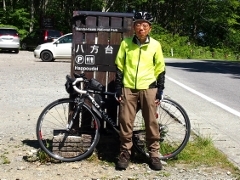 Following yesterday, I stayed in Aizumisato Town today and visited Ryumon China workshop and Sakudari Kannondo. Ryumon China is one of the traditional Aizuhongo Pottery group and has its unique beautiful surface pattern and color. Sakudari Kannondo stands on a slope of a rocky cliff creating an astonishing view. 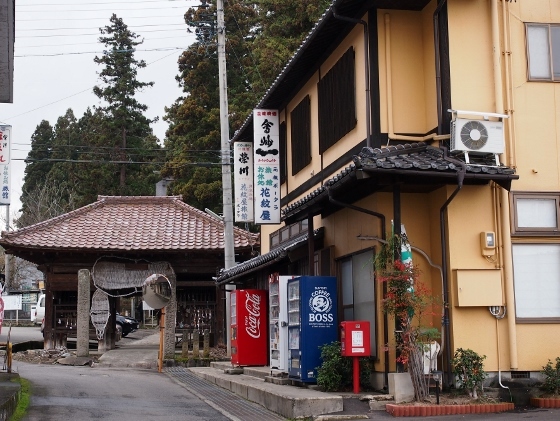 Picture above is a view of the Ryumon China workshop. 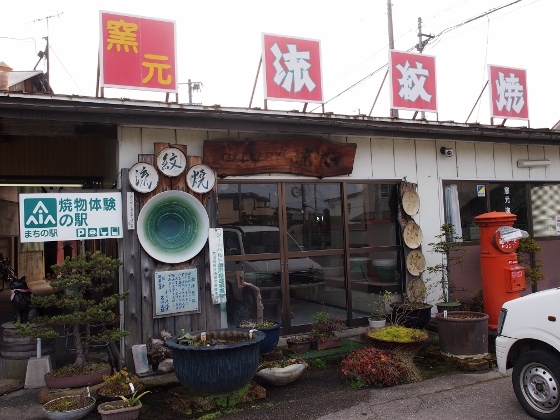 This is one of the 14 pottery and china workshops in Aizuhongo district of the town. 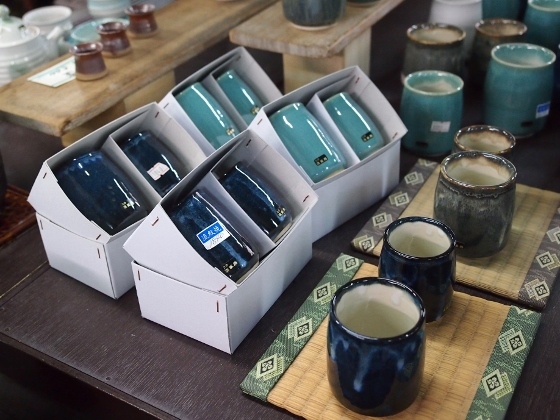 Aizuhongo pottery started more than 400 years ago. Today I visited here together with some of the members of Omotenashi Guide Fukushima as a group study tour. A workshop staff explained us in details about the process. Ryumon China workshop is dedicated to producing hard china products. 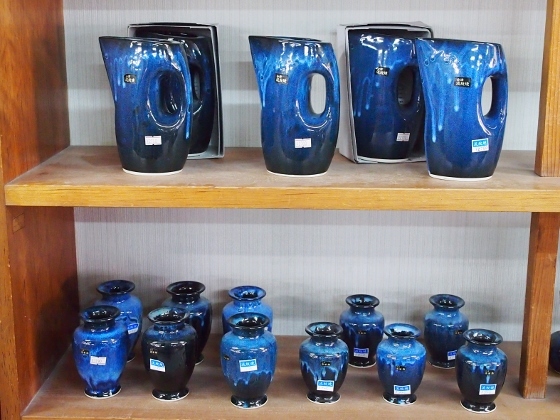 Producing china needs special pottery stone which is a rare kind. 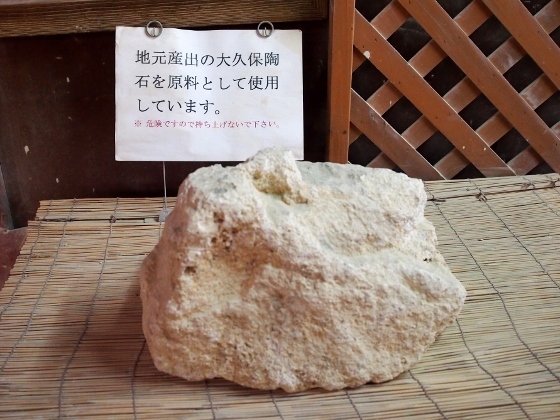 Okubo pottery stone shown above which is mined from nearby mountain is the only kind available in eastern Japan. Ryumon China has its unique pattern on the surface. Pictures above show some of the products. You can see some liquid dropping or flowing pattern on the side. Also they have artistic beautiful colors such as ultramarine. Then I visited Sakudari Kannondo located in the southern part of the Aizuhongo district. 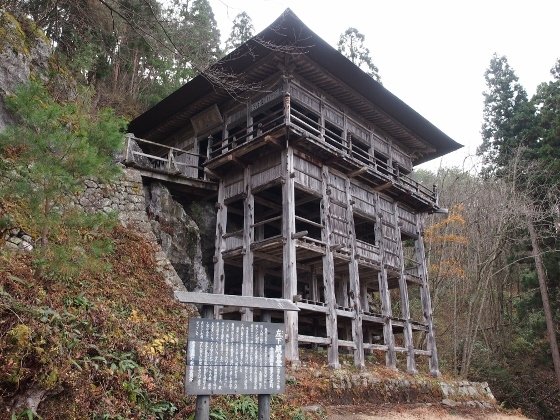 This building was built in 830 by a famous Buddhist priest Tokuitsu. It stands on a slope of a rocky cliff as shown above. The landscape on which it stands makes the structure very astonishing. 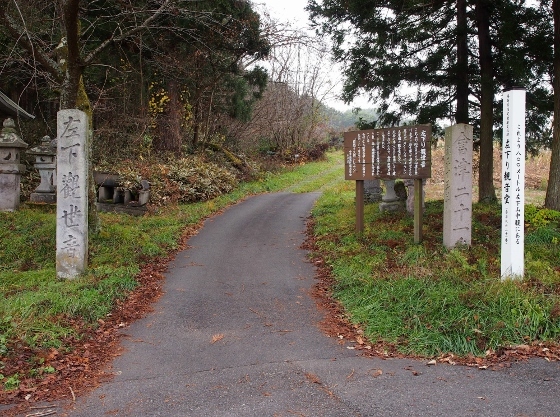 An entrance of a passage to the building is located along local route 23 as shown above. 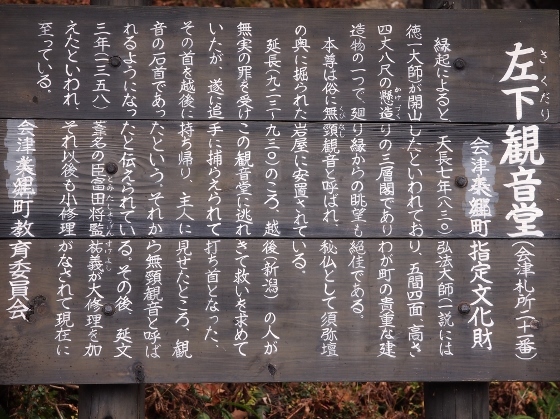 Some of the explanation boards are also shown above. It takes about 10-minute walk from the entrance to the Kannondo building. 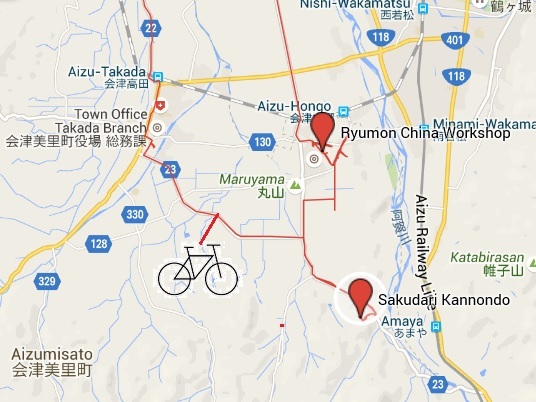 Last night and tonight, during some visits in Aizumisato Town I stayed at Kamonya Inn as shown above. It is located just adjacent to Nakata Kannon or Koanji Temple I visited yesterday as you can see a gate of the temple in the picture. It was just a normal inn with reasonable charge except it offered a very good home-cooked and healthy meal! 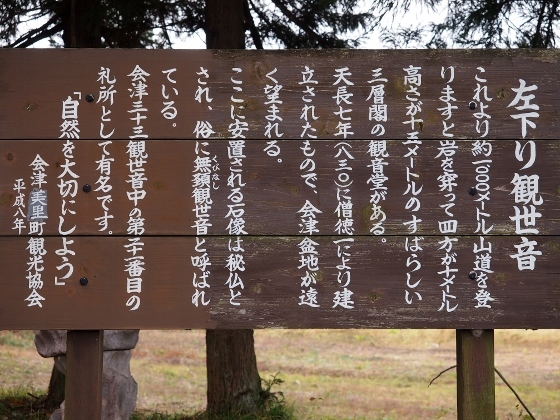 I think it is a good choice when you visit around this area.